Man! If only I learned how to handle my finances 30 years ago instead of 10, I would be in a much better place in my life. As it happened, there was no class in school on personal finances, and growing up poor taught me that as soon as you get money, spend it on something you want because you may never have that chance again. All this non-education growing up helped me go into debt often, buy things I couldn’t afford, and take money out of my savings and retirement to make payments on those things I couldn’t afford. I’m not saying my life sucked, I mean I went on vacations, I bought new cars, and I ate out all the time since I was (am) too lazy to cook. When I didn’t have enough money to pay a bill, I would either work more, sell something, or take money from one card to pay another. I actually thought I was being smart and that I was “good with money” because I could come up with it when I needed it. But that actually gets exhausting, and complicated, and confusing. And I knew it had to end. The transition between having things and doing things with “borrowed” money and having things and doing things with only the money you have is tough. You have to go without long enough to save money to be able to have again, which also is exhausting, complicated, and confusing. But knowing what I wanted the outcome to be (financial freedom), made it easier since there is a true light at the end of the tunnel. Starting out, I read a lot of finance books and tried all different financial freedom programs. Some were a waste of money and some really worked for us. 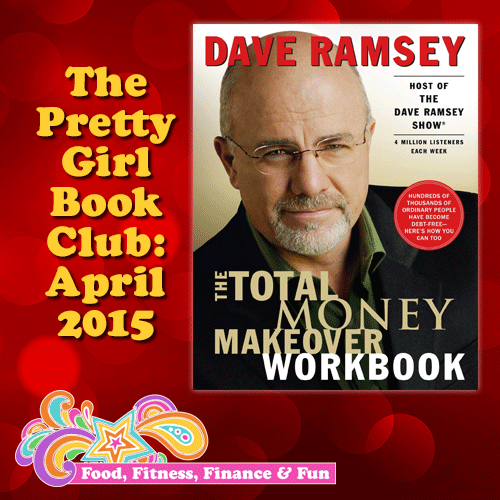 If you have read any of my finance blog posts, you know I am a big fan of Dave Ramsey. He offers practical advice, easy steps to follow (he calls them the baby steps), and classes that offer the individual help and group support you need to be successful. He also offers a free podcast, 3 hours each day, anyone can listen to. He answers caller questions about all areas of finance from budgeting to investing. As most of you know, I love podcasts and I listen to his daily. His advice is very simple and useful. One of the topics he gets questions on all the time is mortgages. When to buy, how much to spend, etc. He has a few rules. Don’t buy a house without a down payment. Don’t buy a house while you are still in debt. Don’t buy a house with anything other than a 15 year fixed mortgage. Never co-sign on a house with someone you’re not married to. Your 15 year fixed mortgage payment should be less than 25% of your monthly take home pay. Never take out a second (or third or fourth) mortgage on your house. After breaking several of his rules, we started this year fresh with a 15 year fixed mortgage in our names only! And since we had some equity in our house, we even got to stop paying the mortgage insurance we previously paid each month for not having a down payment. It took us being home owners for 18 years and 3 houses later to finally learn!! Phew!!! Don’t be afraid to tell your financial planner or your mortgage lender or your retirement advisor exactly what you are wanting. They will find a way to make it happen for you. If not, find another. I am lucky I met our mortgage lender, Mandy, several years ago. She has helped us with our financing and re-financing over the past few years. If owning a new home or refinancing your current home or rental is in your 2017 resolutions, reach out to Mandy! She has made an otherwise stressful transaction easy and pleasant. 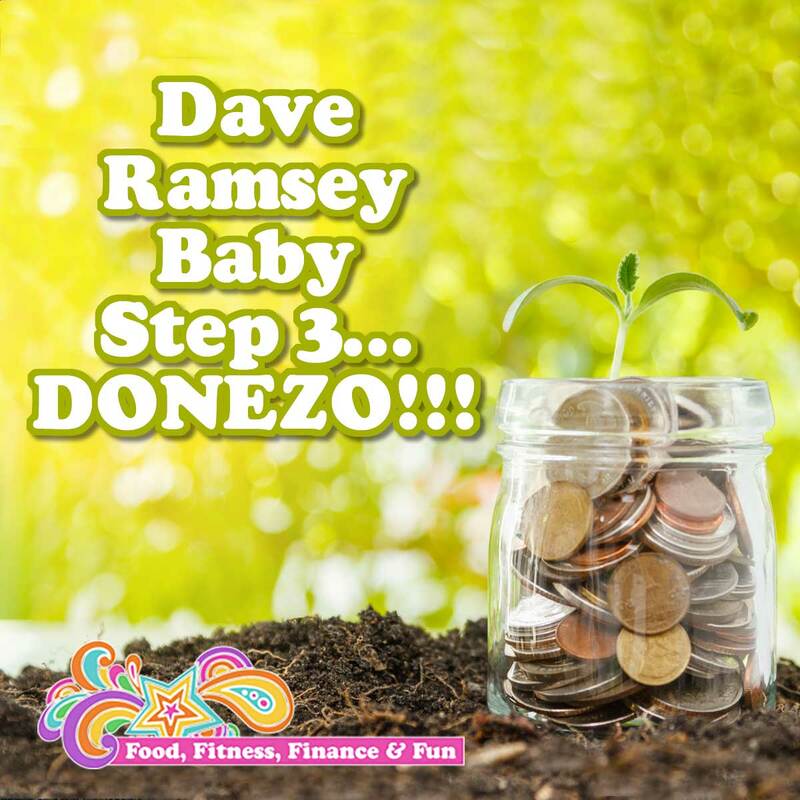 Dave Ramsey Baby Step 3…DONEZO!!! HOLY EMERGENCY FUND! I never thought we would get past Baby Step 3. 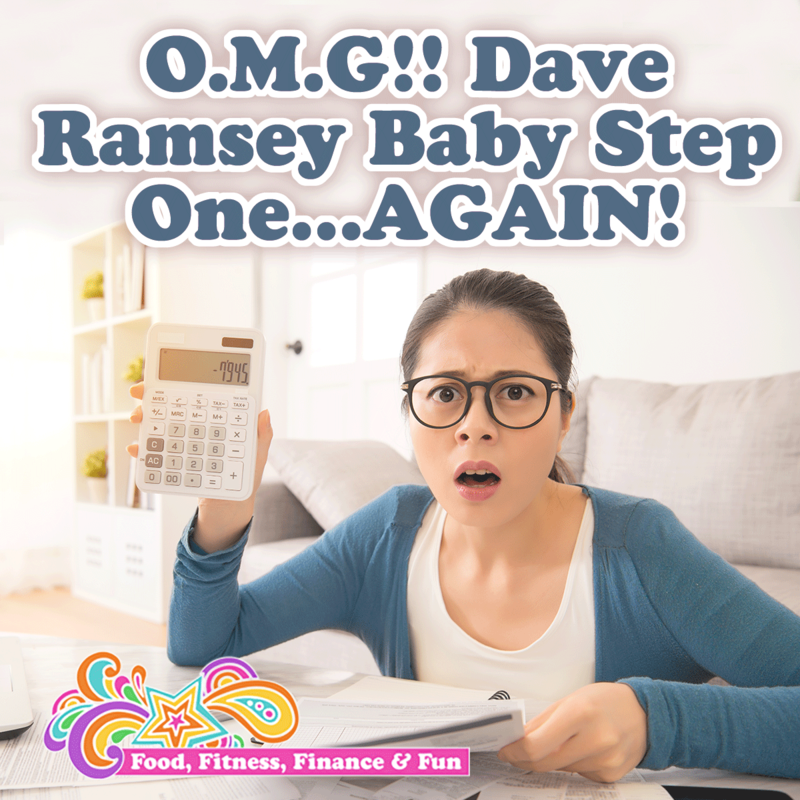 I am talking about Dave Ramsey’s Baby Steps to Financial Success. We have been following Dave Ramsey’s plan loosely for about 8 years now but pretty seriously for about 3. 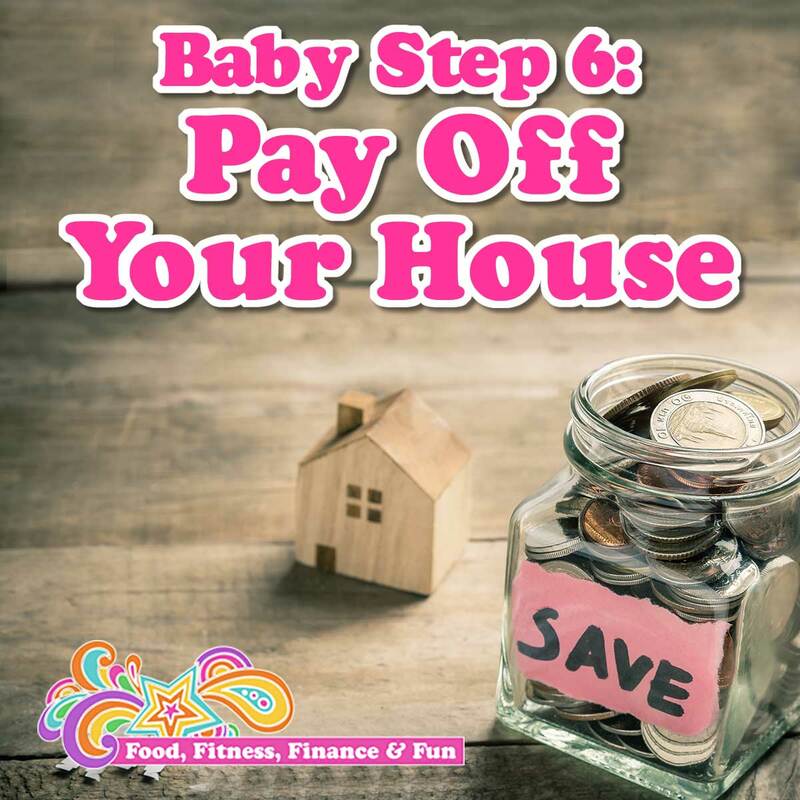 Baby Step 3 is to have a fully funded emergency fund. Fully funded means 3-6 months of expenses set aside in case of an emergency. My original goal was to have it fully funded by September 1st , but we actually didn’t get there until December 1st . Three months doesn’t seem like a big deal in the grand scheme of life, but it felt like forever for me since we had a ton of setbacks along the way. LUCKILY the setbacks were nothing serious (like medical bills) but just “life” happening as it does. Car troubles, home repairs, etc. The hardest part for me is that my husband and I are not always on the same page with money. He doesn’t believe in “saving for the future” where I want to save to alleviate stress and anxiety that I associate with lack of money. One of our biggest setbacks in the 15 months it took us to build our emergency fund was a trip my husband took to Ireland for a month. He planned far enough in advance to save enough money for the trip, but ended up spending twice as much as budgeted. His reasoning is that he was only going to be there once so he wanted to do whatever he wanted while he was there. I have a different mentality in that if I get to do something awesome, I have to give up some of the luxuries in order to get to have the experience in the first place. For example, if I am paying for a race far from home, I typically bring all my own food and sleep in my car to offset the cost of the race and gas to travel. Another issue that came with the same trip was that he got a big bonus from work that he was going to use to paint the house. When he decided he wanted to use it for his trip instead, that was fine. It was his bonus he could spend it as he chooses. I just mentioned that since he was using it for his trip, we couldn’t get the house painted until next year when we saved for it. He agreed. Until he came back from his trip and said we had to get the house painted. Again, I would have waited and saved, but he said it was important to the longevity of the house and if we waited we would have to replace rotting wood, etc. At times it was frustrating since we have different philosophies about money, but in the end we accomplished our goal…a fully funded emergency fund!! On to Baby Step 4 which is to put 15% of our income into an IRA. This has also been a cause of friction between us, but in the end, he trusts Dave Ramsey so he is moving on to saving for our future. By this time next year my goal is to have our IRAs maxed out each month and be paying double on our mortgage each month (which is Baby Step 5). I can’t wait to feel relaxed and secure in our financial situation. This is a far cry from the way I felt even 5 years ago and am grateful for all I have learned from Dave Ramsey along the way. Here’s to a prosperous 2017! !